Earlier today, Short Mountain Distillery became Tennessee's newest licensed distillery. The state and federal permits come months after supporters changed Cannon County law by referendum to allow distilleries as well as securing federal permits and completing construction of Still House #1. Short Mountain Distillery will make a Tennessee sour mash white whiskey (moonshine) from a family recipe handed down for generations in Cannon County. The traditional recipe and process will use locally grown corn that is stone milled on site. Distillery owners, the Kaufman brothers, hope to reconnect visitors with the nation's agricultural heritage and whiskey making traditions by creating a unique destination. "Once people experience how our product was made here for generations, they'll make moonshine America's drink," said Billy Kaufman, farmer and Short Mountain Distillery CEO. Short Mountain Distillery's traditional process will use local stone milled grain and Tennessee spring water to create a sour mash moonshine, a Bourbon and Tennessee Whiskey. Tourist will be able to follow the spent grain back into the farm process and take the Cave Spring Trail to experience why Tennessee is the perfect location for whiskey making. Visitors will also learn from legendary moonshiners of Short Mountain as they demonstrate processes handed down for generations. 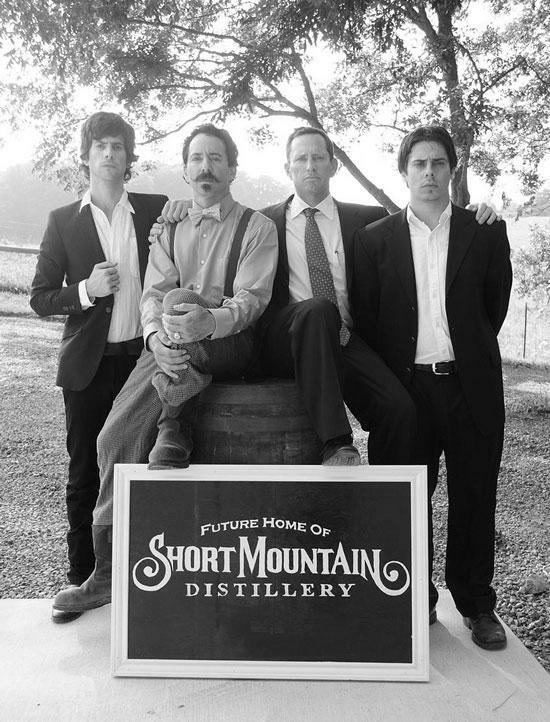 Short Mountain Distillery is owned by the Kaufman brothers: Billy, David and Ben. They are the great grand children of Jesse Shwayder, who 100 years ago founded the iconic American brand Samsonite. Their grandfather, Louis Degen, brought Samsonite to Murfreesboro decades ago bringing steady work to many local families.